They immortalize heroes, visit conflict zones and recreate heroes from Russian history. In 1969, the Ministry of Internal Affairs of Russia opened an unusual department in the police structure – the Studio of Artists. 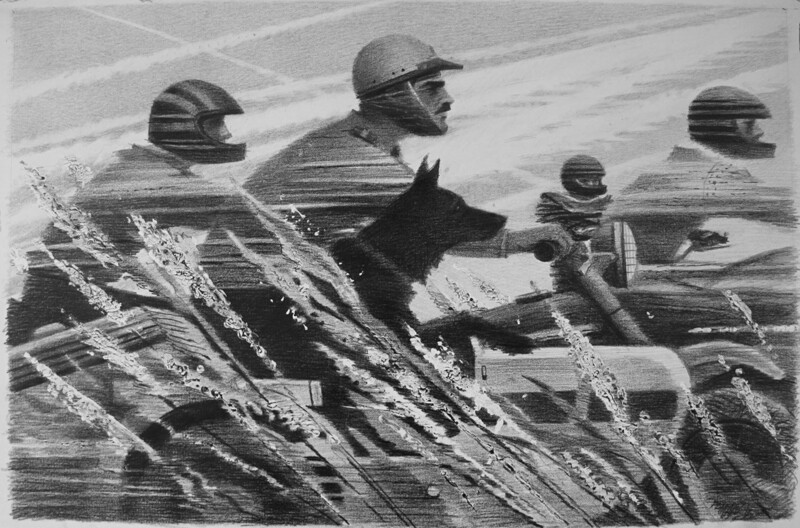 This group was tasked with making paintings that captured police work and which aimed to educate ministry personnel. 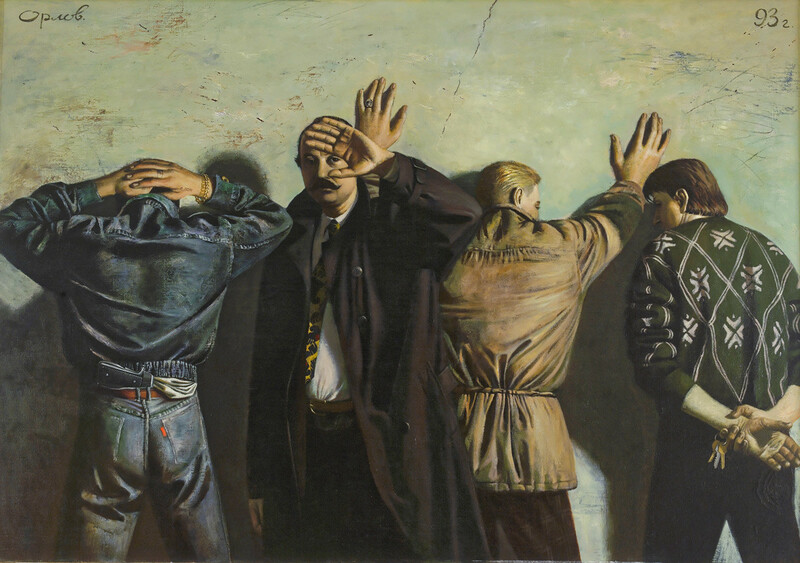 Today, some of these Soviet-era artists are still working; for example, Ilyas Araslanov. 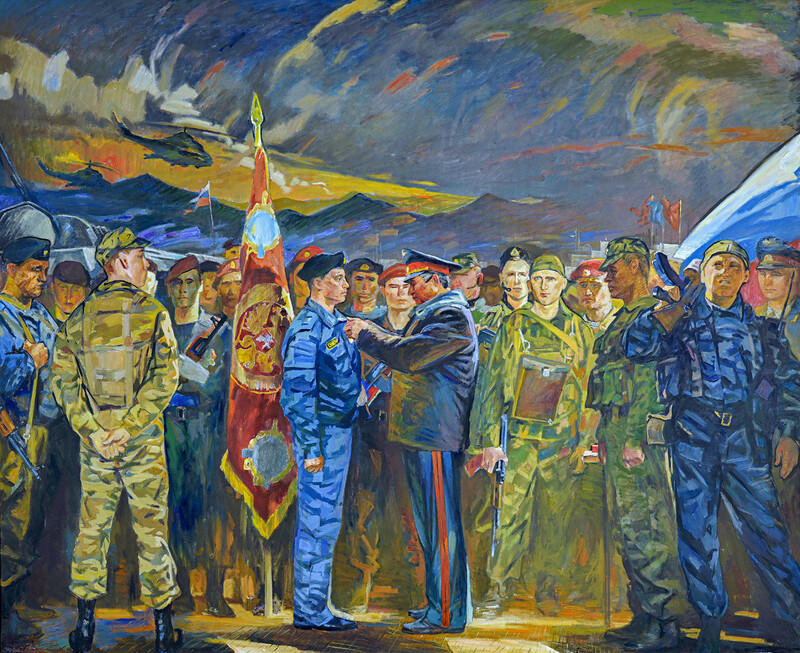 Besides depicting work-related events – the detention of dangerous criminals, swearing of oaths and retirement ceremonies – these artists have always painted portraits of important personalities, such as decorated generals and young heroes. The Studio has been working for almost 50 years, and today its works are historical artefacts that are displayed in police and ministry offices, as well as in museums. In 2014, an exhibition of these works wa held in the Moscow Museum of Modern Art, and which met with critical acclaim from the art world, as well as wide public praise. The Honored artist of Russia, Oleg Leonov, began working in the Studio in 1991, becoming its director in 2013. Leonov graduated the Surikov Art Institute in Moscow, studying under Ilya Glazunov, one of the main artists and portraitists of that time. 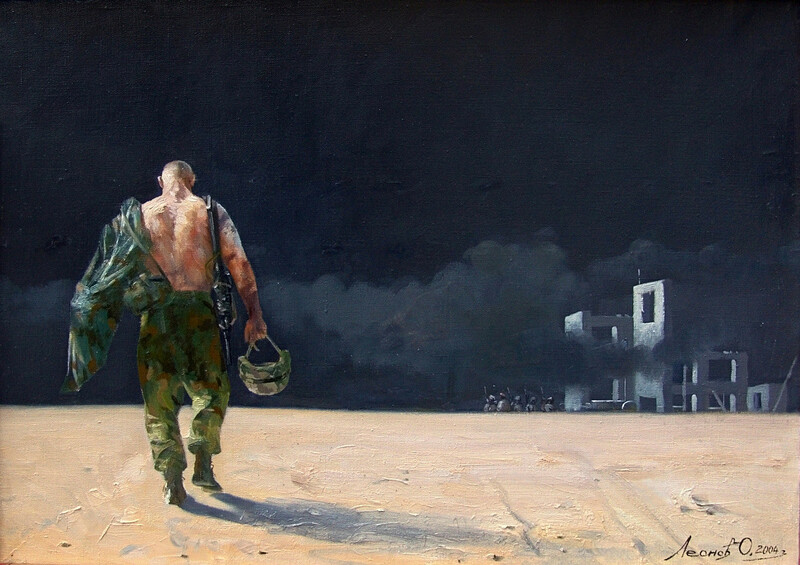 These artists often do tours of duty in the field, including in conflict zones where Internal Troops of Russia are deployed: Nagorno-Karabakh (1990); the Chechen Republic (1999, 2000, 2006, 2008); Northern Ossetia (1993, 1994, 1995, and 2004); and Budenovsk in 1995. The painted works reflect the heroism and tragedy of battle. 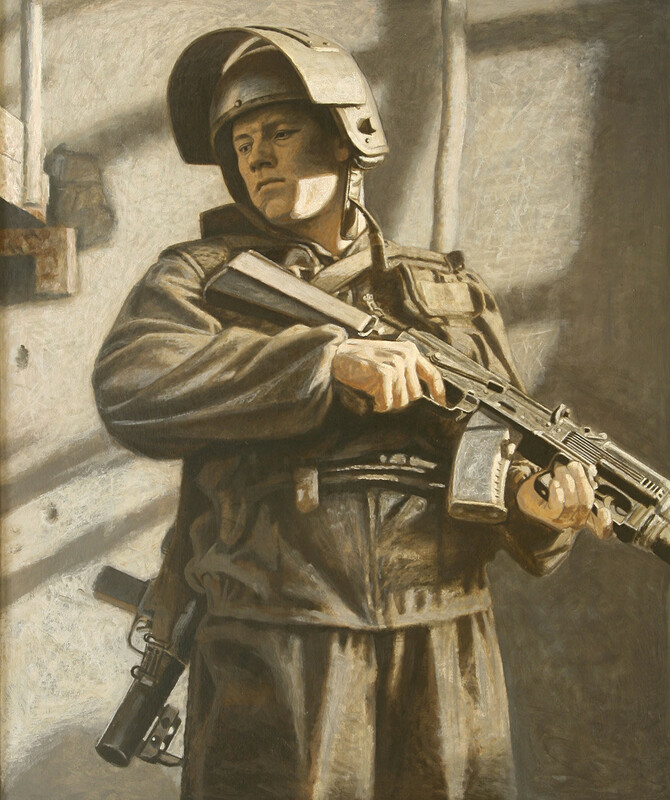 One of Leonov’s paintings, “Between battles,” features a young man who was drafted and served for a year as a cook. At the end of his service he could have returned home to his family, but he wanted to serve the Motherland. So he stayed with the Internal Troops [of Russia] and was sent to a conflict zone, where he was killed in action two years later. This painting was created not long before his death. 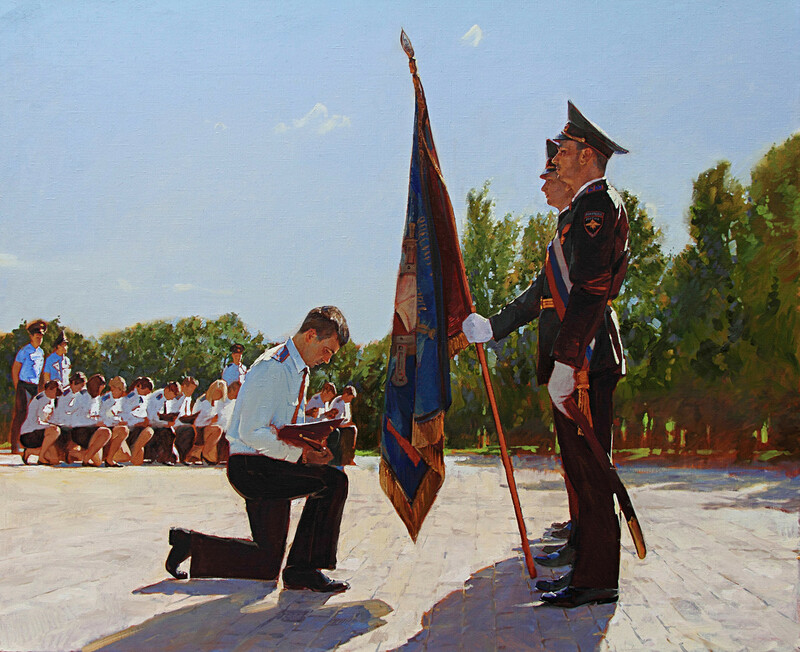 Anton Shumeiko, "Decree establishing the police. 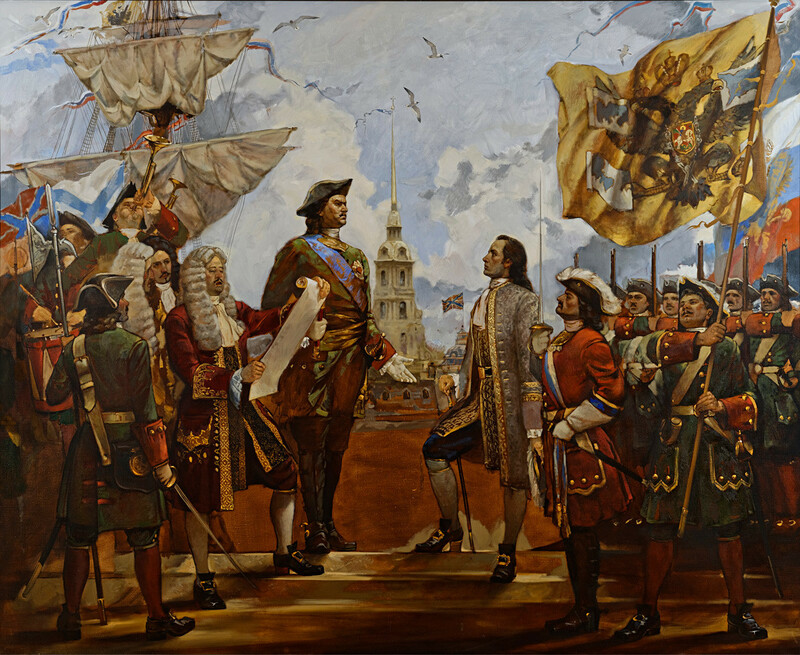 Proclamation of Peter the Great's decree to appoint Antonio de Vieira as general chief of St. Petersburg Police"
This year, the Ministry of Internal Affairs of Russia celebrates the 300th anniversary of the police force – in 1718, Peter the Great signed a decree to establish one. Before that time, local officials and mayors tried their best to maintain public order. Over the past five years, with the help of historians, the Studio has been recreating 18th and 19th century portraits and scenes with incredible attention to detail, including uniforms and heraldry. Now, the art works created by the studio can be seen in museums throughout Russia and on the walls of ministry departments.